Ahyanah Mincy is an ordinary college student from Newark NJ who is using her verified profile on onmogul.com to make a change for women in business. She’s a student of Saint Peter’s University and is ironically majoring in Business Management. She is really passionate about business management and overall business as she uses her platform in journalism solely to promote women in leadership roles. 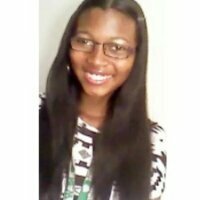 She is a full time college student who devotes her spare time to promote women in entrepreneurship and in business.She writes for onmogul.com which is a platform for women and often referred to as the Linkedin for women. On this site women can ask questions, find jobs, sell things, conduct discussions and it’s most popular feature write articles. Although thousands of women write articles everyday only 5,000 users have the honored of being verified which is usually reserved for celebrities and executives of companies. Ahyanah’s blogs which promote women empowerment have become so popular that Ahyanah Mincy has earned the honor of the verified. This college business woman is using her large platform to promote women in business and entrepreneurship. She also uses her blog to promote black women not only in business but in entrepreneurship as well.The goal of her blogs is simple to motivate women and minorities in business that they can do it. Leadership roles in business have a stigma that is only meant for meant for men but her articles constantly prove that wrong. For example Ayanah wrote an article about companies run by black women and the leadership roles that black women have within their respective companies. This influencer uses her platform to blog about not only women empowerment in business but black women empowerment as well. She has written articles about successful black female entrepreneurs and their businesses. She wrote another article about inspirational quotes famous entrepreneurs have said and advice to other college students her age.Her articles put a spotlight on young, female and african american entrepreneurs and her articles often motivate the minds of its readers.